Actor Mark Gatiss has said the industry still has a “huge way to go” in terms of gender equality and diversity. 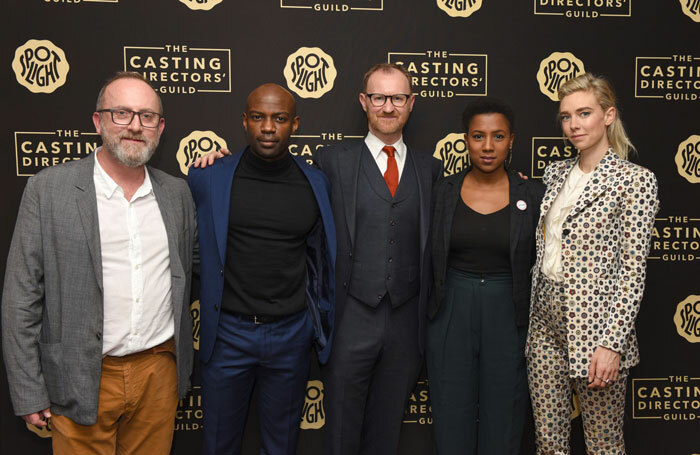 Gatiss was speaking at the London launch of the Casting Directors’ Guild’s new awards , where Cloud Atlas actor David Gyasi and The Crown’s Vanessa Kirby also spoke about representation in the industry. Gatiss said: “I’m old enough to remember there was a point at which it was an extraordinary novelty to have a non-white person in any play or TV show. Kirby, who is to appear in Julie at the National Theatre in June, argued that “now more than ever” is the time to “stand up and face the reality and do things to change it”. “I read something [actor] Rosamund Pike said actually, that it’s men that have to be willing to take the supporting parts to lead females. I loved that interview because it was so right – we always play Lady Macbeth because they are Macbeth,” she said. Gyasi said representation of people of black, Asian and minority ethnic backgrounds in theatre, film and television needed to extend beyond the actors to casting directors and artistic directors. “It’s incredible to see someone I looked up to as an actor as the artistic director of the Young Vic, and I think that’s the first artistic director’s phone number that I have, and that’s Kwame Kwei-Armah, and I’m suddenly in a position that lots of my white peers have been in for a long time,” Gyasi told The Stage.